Two years ago we bought a round 16' × 48" Intex metal frame pool. We used it just 1 summer and then moved. Our new home has hardly any yard. We just measured and found it's too small, it's a square/rectangle area that if we put the pool up, would actually touch the fence on either side. It took me years to be able to finally buy this pool, and I'm horribly disappointed to not be able to use it anymore. My question, is there any way to just order a new liner and change the size of the pool. Being we have all the parts for our 16' 48", could we use the same legs and order maybe a 14' or 12' x 48" instead. 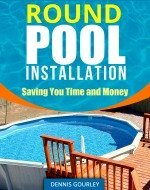 Or is there ANY IDEAS how to make the 16' round metal frame pool smaller or maybe a different shape, like rectangle? Hi Crystal, I don't have enough experience with frame pools to know for sure. Most of my experience is with steel wall pools. I will post this here in hopes someone else can help you.